Sap collector on the right. 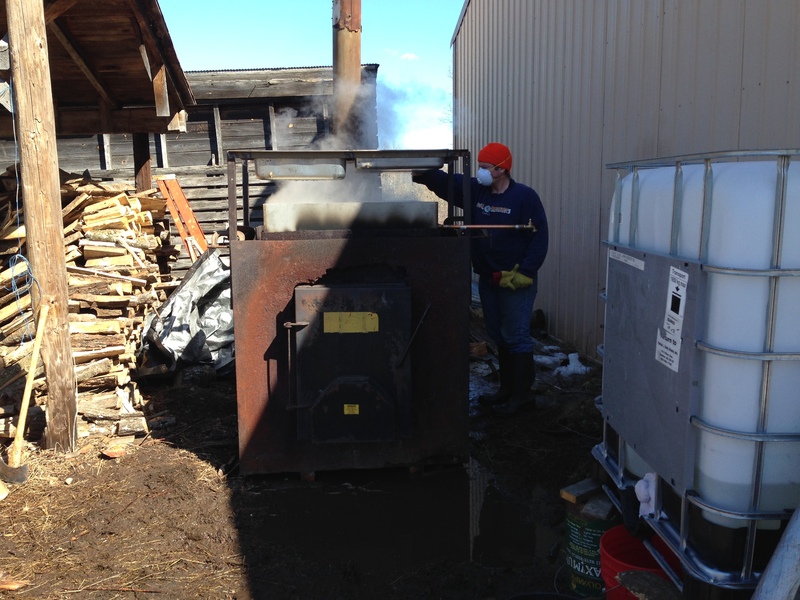 Wood boiler center. Sap on top. Trash and treasure walks have become our tradition once the snow starts to melt. While in the city we found electronic gadgets, keys, money, and Silly Putty. 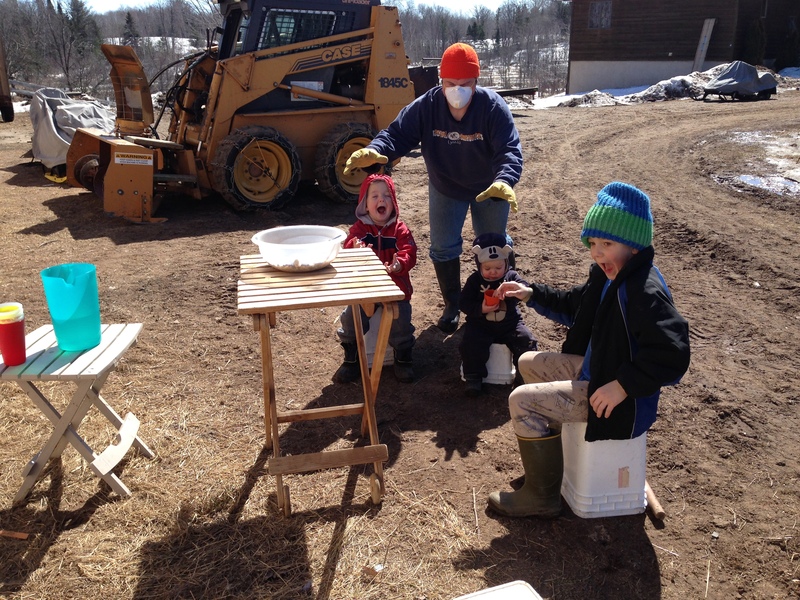 This year we are finding different types of animal remains, interesting rocks, nuts, bolts, long buried shovels and toys. Join us as we walk the roads this spring. This area is known for agate hunting. Just make sure you bring three pairs of pants for each day and some good rain boots, as that has been the normal usage around here this week. I love your family, Katie. You’re a blessed woman, and they are equally blessed to have you as wife and mom.